"Skrill functions almost like an international ponzi-scheme"
Skrill worked for me one time, after about a week or two of verification, and I was able to do 1 transaction with it before. Skrill has a support system where their support is hard to reach, and once reachable, they answer quickly, escalate your problem, but do not solve any problem. Even with their "new" system, their security and other features are so badly thought out and implemented, that unlike other services, I have had to contact support just to access or re-access an account. I am certain that whomever read this has read similar things for years, and assuming Skrill is not a scam service, thinks that now they should have to spam more irrelevant and broken security features, rather than a simple one that works (such as 2-way email or phone verification, just like a legitimate bank or secure financial institution, or like PayPal, their great grandfather who still beats them in every way). Do not use Skrill if possible. If you have to use Skrill, make sure you try to proactively avoid any bank or credit/debit card issue. Use PayPal or some legitimate service that does not have so many issues both in programming and in support access; and pay heed to the hundreds of negative reviews. It does not even allow you to deposit about 100$ properly without running into multiple support and other issues. Their automated systems "do not function properly", so support is a must. You can contact support in Canada, the US, or other areas now without reaching out internationally (to the UK etcetera..), however, they never seem to fix the problem. The problems are escalated if you are smart enough to do so, but they only escalate cases temporarily, then email you and say the problem was reviewed and is now solved. After doing this about 4 or 5 times (a whole month of trying at different times of the week) they actually just disabled my account and claim that it was done automatically. At this point I am still attempting to use a debit/credit card to deposit funds into the account; and this is a miniscule amount, such as 100$, it is not like this is some 10,000$ amount that has been frozen or blocked by fraud. I would never trust a service like Skrill to have more than 1k, even if it does work for a user to deposit when they're in the UK or some other area. Multiple other reviews show and verify this reasoning. They seem to just be laundering money, freezing accounts, disabling accounts, and then posting fake reviews that are easy to spot with bold-face letters stating "How Great Of a Service Skrill Is". I am surprised that all members of Skrill have not been sent to jail, they are probably a pompous group of unskilled teens from the UK, which makes sense, such that island indoctrinates people to think highly of themselves. EXTREMELY BAD !!! I WOULD LIKE TO SUGGEST A SOCIAL MEDIA CAMPAIGN AGAINST THEM AND GATHERING ALL THE VICTIMS TO FILE A LEGAL CASE. Skrill without any notice have put my money (USD4500) on hold at 8:00am on the 8th of April 2017, this is a breech of section 17.5.2 of the terms, I’ve communicated with them several times over the phone and through emails without any meaningful response. I’ve registered an official complaint with them to comply with sections 20.1, 20.2, and 20.3 of the terms and I got no response within the time frame they have set themselves hence I am filing my complaint here. I’ve used Skrill for months without any issues, I’m selling discounted gift cards and forex signals over some trading forums. Once my freelance business started to grow in volume I got an account suspension without any notice. I emailed Skrill about the issue and they replied asking me 3 questions about the nature of the account, the payments I received and 1 particular transaction I made. I answered all their questions, and I offered them all the assistance required. I also contacted the person who made this transaction with me (Purchasing Gift Cards) and they confirmed everything is fine and they will contact Skrill on my behalf. When I got no response from Skrill via email I started calling, in the past 48 hours I made at least 8 international calls without getting any useful information. All they say is that there’s a security check on my account, they can’t tell me when it will be over, or what’s happening. I’ve done nothing wrong, and I didn’t believe what is written about this company over the internet until I became one of their victims. They should be transparent about what they do with people’s money. The Most Innovative ideas i love most from Skrill is their good and reliable service, where i have opportunity to transfer my funds from Skrill account to my mobile money account as easy as it is with very low cost even poor from scratch can effort to send and receive money. Powerful Security system to avoid stammers and spamers, Skrill is simply the best! So far there is no dislike from Skrill, am OK with everything, maybe they should improve more reliable ways of sending and receiving money by adding other mobile network like Airtel and Vodafone etc. if your looking for E-wallet to suit your need, look no further, just come to Skrill and open your free account and add your bank of credit card and start buying and seeking securely with low low cost!! I promise you will not be tossed to and fro looking for cheap online e-wallet. Actually i deals with crafts selling them on-line, since in my country paypal are not allowed to receive money for my sales so i had to come to Skrill and its really Working very well. "Another option to pay and receive money using Internet (not, is not Paypal)"
Skrill is an evolution of Moneybookers, an excellent alternative over classical business model for money transaction using Internet. Skrill allows receive and sent payments, also buy products on websites using the account. The fees applied for transactions is in my opinion the most competitive in the market nowadays. It allows getting a prepaid credit card!! That's excellent feature of the website. Open the account is very easy and simple. The fee for bigger transactions are keystone using Skrill for the lowest amount. Skrill doesn't work to buy in each place on Internet. Skrill was created in UK, then its main goal is the European customers. For example, Paypal has relationship with several industries (from buying flight ticket to Burger King! ), and Skrill does not. Also, the fee for getting cash from ATMs are high in comparison with others, but there is no much options. It is thinking to work over Internet, not using ATMs. Honestly, Skrill must be used as a 2nd account with the classic Paypal for the limitation to buy in some places (places in US). Transferring money to other Skrill users, getting payments from several freelancer's website, and one excellent feature: buy Skype credits (I know, it is possible doing with a simple credit card but it is an option). I never used in poker/bet sites, but I know that it works perfectly! "One of many solutions for transferring money"
First of all, I like its security system. When I receive money I know that they are in safe place. The process of withdrawing money is very simple, all you have to do is to choose your birthday date and transaction options. I know that there are options for purchasing online with Skrill account but I have never purchased anything. I receive money directly into my bank account within 4-6 days, and that's okay for me. When the transfer is made and when you receive money directly into your Skrill account you'll get an email notification. There is even an option for gambling, I don't use this option as well, just saying. Everything was okay until this last transaction, a few days ago, when they have increased their fee rate to up 7$ and that's something that I don't like, so I'm thinking about using other methods like Payoneer or PayPal. The other thing that I don't like is its limit, I cannot get Skrill card if I'm not a European citizen, but I live in Europe. As I said before, this one of the best money transfer options, and I like it so much. My bosses can quickly and easily pay me for my work, I get money within few days. All in all, it's a great product for money transfer, but they need to consider their fees rate otherwise, I'll choose other methods. "Skrill as a good electronic money holder"
Skrill allows you to add banks accounts from different countries, which is not allowed in all pages like this one. Furthermore, the fees for internal transactions and withdrawals are very low, so it is a good way to manage your money. The problem with Skrill is that not all e-commerce sites are integrated with this system, which force the user to move the money to another system to buy some products. It's a very easy to use, flexible and intuitive system, and is a very good option to move money online. The only thing is that you have to be sure that it can be use to pay in the system where you want to but. I get into Skrill because I was searching for a good system that allows me to managed some electronic money easily. Skrill has allowed me to make transactions from an into my bank accounts with no problems at all. Maybe if the could add more mobile money Networks like other service providers across the continent of Africa as well as other supported regions. What i can say to other about skrill is that they should just give a try, they will come to know that what i have written here is true and for the best of my knowledge. Easy access to my online payment and most convenient payment as well, proper security and just sit down and relax while your e-wallet is secure and no need to worry about your cash!! Reduction in waiting time for money to transfer from account to account and ease of use in setting up and verifying an account. I am put off using the product due to a a high number of negative reviews that I have seen online claiming fraud and withholding of funds. I have seen examples of people being charged for making a withdrawal even though the withdrawal was unsuccessful. I also feel the customer service is somewhat lacking in regards to the above issues. 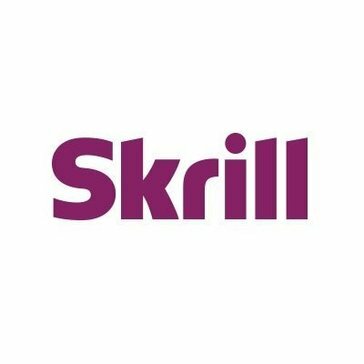 From my personal experience Skrill has always worked as expected and is better than other alternate methods of transferring money, however I would be weary of negative points raised by other users. Reduction in waiting periods for payments increases cash flow in business transactions. "Easy way to transfer money"
Skrill is supported in more countries than paypal. One of the things that I am not happy with Skrill is that is not supported by many of the websites that I see. I guess going forward I would like to see Skrill being accepted as widely as paypal! Its very simple to open a new account and to test out the features, so give it a try! "Simple and has helped me"
More affiliations and return the prepaid cards. On my first time to use skrill i was doubting but after trying every things worked very well and quick. It is also very easy to use. There is nothing i dislike from skrill because it has been the solution to my problem. The skrill system is very quick and time saver compare to other system which use to take a lot of time. * We monitor all Skrill reviews to prevent fraudulent reviews and keep review quality high. We do not post reviews by company employees or direct competitors. Validated reviews require the user to submit a screenshot of the product containing their user ID, in order to verify a user is an actual user of the product. Hi there! Are you looking to implement a solution like Skrill?